In a recent article for Christianity Today, Dr. Michael Ward explains how the combination of reason and imagination makes C. S. Lewis such an effective apologist in our post-Christian era. It is this combination that enables Lewis to make non-believers want what we Christians have. In Christ, poetry and philosophy have met together. Meaning and truth have kissed. 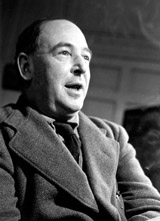 C. S. Lewis understood, like few in the past century, just how deeply faith is both imaginative and rational. That which God has joined, let no one put asunder. “How Lewis Lit the Way to Better Apologetics” is available here. This article is an edited version of Dr. Ward’s essay in Imaginative Apologetics (Baker Academic, 2012). Michael Ward is senior research fellow at Blackfriars Hall, University of Oxford, and professor of apologetics at Houston Baptist University. McGrath, in his recent biography of Lewis, makes approximately the same point. He says that postmoderns are geared to love story rather than proposition and thus Lewis came back into vogue under their watch over popular culture. Richard, thanks for commenting. I took a look at your site and would consider your work to be on the rational or reasoned side of apologetics. Have your ever considered how you might add a more imaginative or literary dimension to your apologetic? I like to think that much of my work with The Humanitas Forum is a third apologetic option, cultural apologetics. It has the goal of seeking to understand how heads, hearts, and loves are shaped by the experiences of everyday life–experiences that either inhibit or facilitate a healthy life of Christian faith.